Spanish railways operator Renfe has awarded Talgo the contract for the supply of 15 very high-speed trains, with a maximum commercial speed of 330 km/h, to be operated in Spain and France. 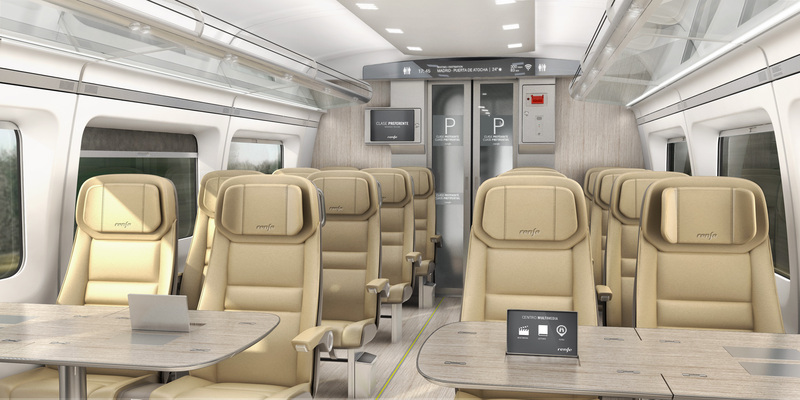 Talgo has won the tender by offering a custom designed version of its Avril high speed train design (version G3), a design under development since 2008 and already approved for commercial services in Spain since 2016. The total contract value amounts to 787 million euro including both the manufacturing of the initial batch of 15 trains and their maintenance for 30 years. The contract included an option to buy a second batch of 15 sets (in tranches of 3 if needed) and to extend the maintenance period by a further ten years. Talgo shall deliver the first batch in 36 months. update: In May 2017 the option officially became a fixed order. So Talgo will deliver 30 trainsets now. For all 30 sets, a maintenance contract for 30 years is included. By using a highly competitive tender process, the Spanish railway operator has tried to get the best offer for its passengers and for the Spanish taxpayers. Talgo, which submitted two different bids, beat Alstom (2 bids), CAF and Siemens (2 bids). Bombardier’s offer did not pass the initial cut and was disqualified. Now it is up to Talgo to make it happen. 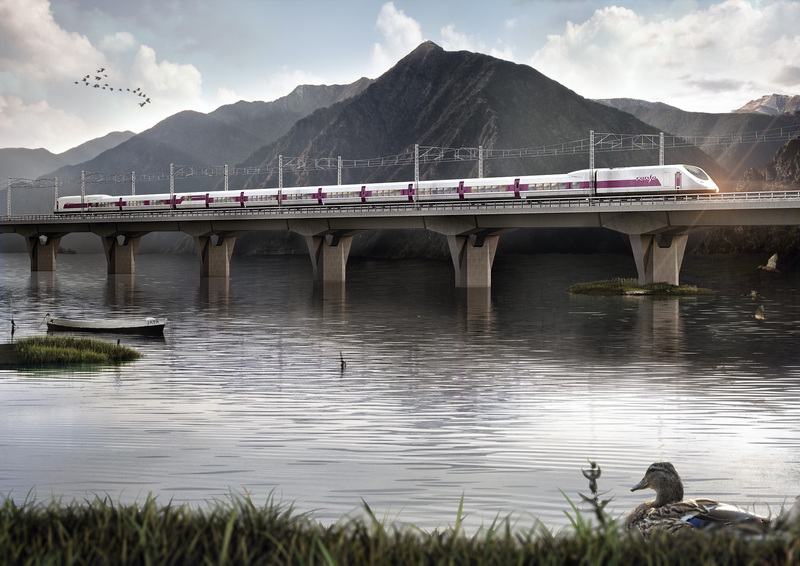 Talgo guarantees Renfe a 99.09% availability during the whole contract period. Having won the tender process, Talgo’s President Carlos Palacio said: “By choosing Avril, Spain and Talgo will reinforce their position worldwide as reference of quality in the very high-speed market,” said Talgo’s President Carlos Palacio. Each of the Avril trains will have a maximum commercial speed of 330 km/h and a total capacity of 521 seats. We see a 14-car train with the powered motorcars and a 3+2 (Turista class) and 2+2 seat configuration (Preferente). Like all other Talgo designs, this train features the Talgo-typical single-axle short body design, which has different dynamic characteristics compared to a more conventional train (featuring Jabobs bogies or conventional bogies). 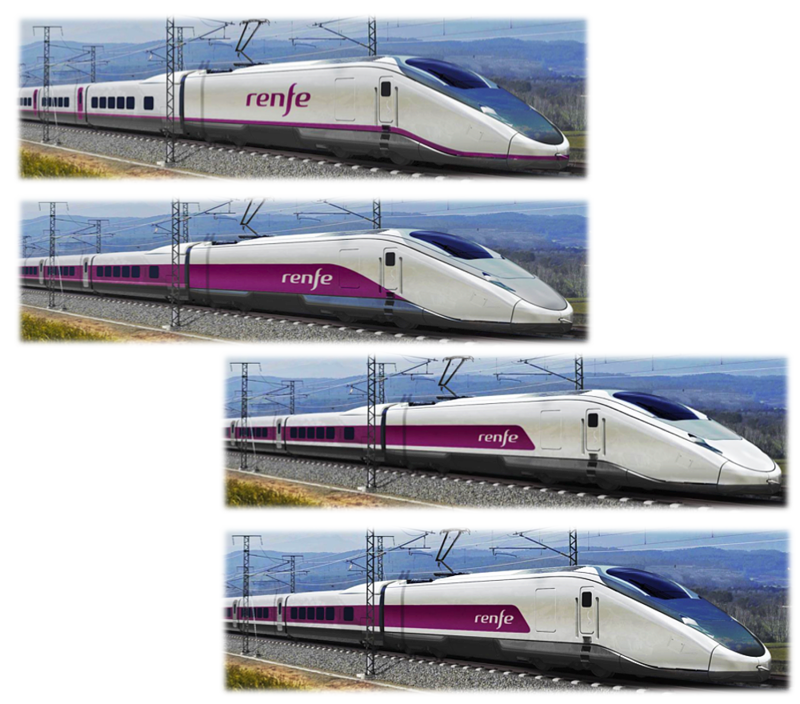 Because of this, a Talgo train features extra body width: The Renfe Avril will be 3.2 meters wide. 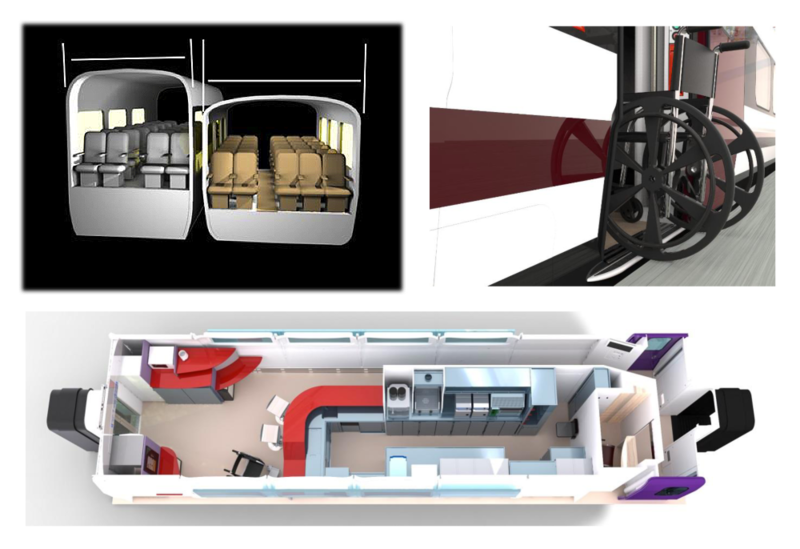 Remarkable is also the low floor height for a high speed train, only 760 mm, enhancing the accessibility of the train. The preliminary design impressions on this page tell us that the motor cars do not feature the characteristic cab design of the Talgo Avril prototypes (sometimes referred to as ‘Swan’) anymore, which was developed by design studio Pininfarina. This design still resembled the ‘duck face’ design of the older Talgo/Bombardier trains for Renfe (type Talgo-250 and Talgo-350). 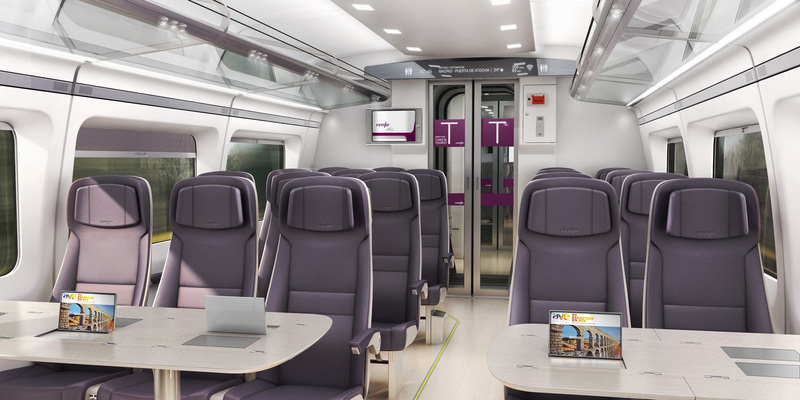 With the new trains, Renfe wants to establish a fleet to improve its offering along the Mediterranean coast and to cross the Pyrenees to serve destinations in France. To this end, the Renfe Avril trains will be capable of running under three different catenary systems: 1.5kV DC (France, conventional network), 3kV DC (Spain, conventional network) and 25kV 50Hz AC (high speed lines). They will feature the signaling systems ERTMS and ASFA for the use in Spain and TVM and KVB for France.